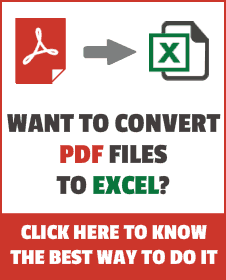 Excel NETWORKDAYS.INTL function can be used when you want to get the number of working days between two given dates. 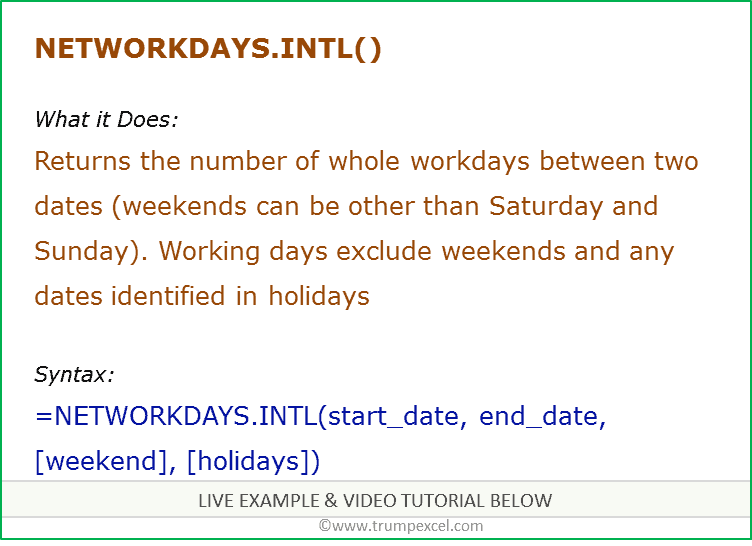 It does not count the weekends and holidays, both of which can be specified by the user. It can be used when you want to calculate the benefits accrued to employees over time. It also enables you to specify the weekend (for example, you can specify Friday and Saturday as the weekend, or only Sunday as the weekend). It returns a positive integer that represents a total number of working days between two specified dates. [weekend] – (Optional) Here you can specify the weekend. If this is omitted, Saturday and Sunday are taken as the weekend. [holidays] – (Optional) It is a range of dates that are excluded from the calculations. For example, these could be national/public holidays. This could be entered as a reference to a range of cells that contains the dates or could be an array of serial numbers that represent the dates. Could be used to calculate benefits accrued to employees over time. Weekend could be any two consecutive days or any single day of the week. When you enter the weekend argument, Excel shows a drop down menu from where you can select the relevant option.